Anushka Aqua Care Serving in Jharkhand & Bihar Since 2008 . RO Service India Is founded by Anushka Aqua Care .RO Service India Provide Sale For Domestic RO Water Purifier , Commercial RO Water Purifier & Industrial RO Plant . In Domestic RO , RO Service India Provide Kent RO Water Purifier , Aquagard RO Water Purifier , Livpure RO Water Purifier , Nasaka RO Water Purifier , Eureka Forbes RO Water Purifier & Blue Mount RO Water Purifier . RO Service India Provide Service for Kent RO Water Purifier ( Kent Grand Plus, Kent Pearl , Kent Max , Kent Supreme , Kent Pristine , Kent Superb & Kent Pride ) , Livpure RO Water Purifier ( Livpure Smart Touch RO , Livpure Smart 2000 Puls RO etc. ) Nasaka RO Water Purifier , Aquagard RO Water Purifier & Eureka Forbes RO Water Purifier . RO Service India have a good salesman For RO sale in all over India . RO Service India Provide RO Service in Ranchi , Gumla, Latehar, Palamu , Jamshedpur , Dhanbad , Goa , Karnataka , Deoghar , Varanashi , Chhatisgharh , Darbhanga , Delhi , Raypur , Pune , Mysore, Panipath and all state of India . RO Service India provide best and Low Price for Kent RO Water purifier , Nasaka RO Water purifier , Livpure RO Water purifier , Aquagard RO Water Purifier , Eureka Forbes RO Water Purifier , Aqua Fresh RO Water Purifier , 1000 LPH RO Plant , 500 LPH RO Plant , Iron Remover , And Water Chiller . RO Service India Have a good RO Technician for all Brand / Model Domestic RO Water Purifier & Commercial RO Water Purifier . RO Service India Provide Doorstep Service .RO Service India provide First app based service in all over India . RO Service India Provide Kent RO Service , Nasaka RO Service , Eureka Forbs RO Service , Aquagard RO Service , Livpure RO Service , Bluemount RO Service , Havells RO Service, AO Smith RO Service. For Domestic & Ro Plant Service call 18001022216. visit on our website www.roserviceindia.com . RO Service India Protect Your Family Health . RO Service India give very good service in short time at your doorstep. RO Service India have good & experienced technician for RO Plant and Domestic RO water purifier service . 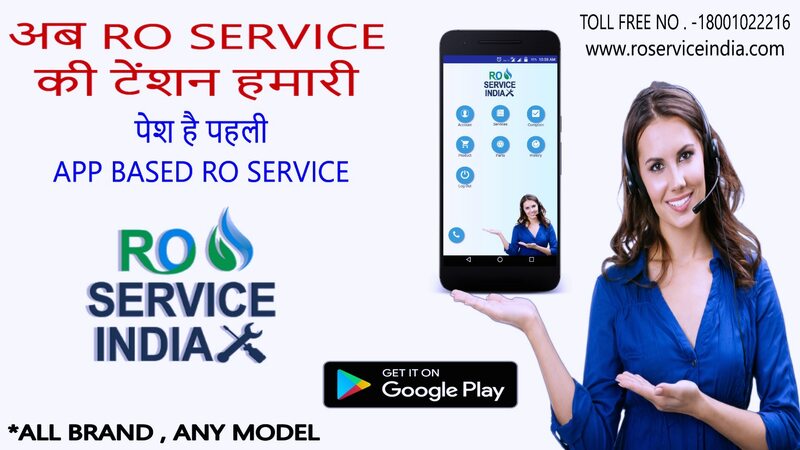 RO Service India provide Kent RO Service , Nasaka RO Service , Aquagard RO Service , Eureka Forbes RO Service , Livpure RO Service .For Fast Service Download Ro Service India app https://play.google.com/store/apps/details?id=com.Airis_ROServiceIndia For more info call 18001022216 & Visit on our website www.roserviceindia.com .